The dream beyond believing has become a reality for an Oz Lotteries member! 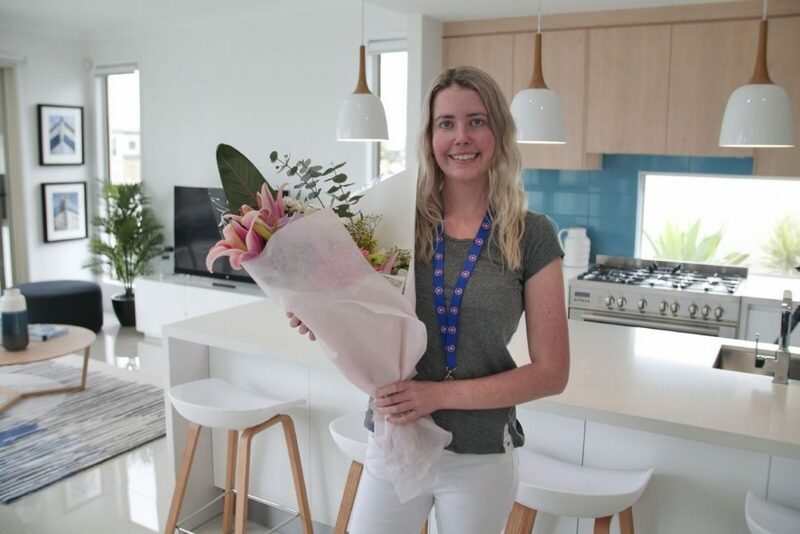 The lucky customer held a ticket in Surf Life Saving Lotteries Prize Home draw 188 and is the winner of the $1.2 million prize home in Hope Island, on the Gold Coast. Imagine winning the home of your dreams – a four-bedroom, two-storey luxury retreat in Sanctuary Cove – as a university student! The 25-year-old NSW student said she learnt of her win through an Oz Lotteries results email. “I still can’t believe it, I’m just so excited,” she gushed. The days of rental accommodation and share house living might be over! The winner admitted she isn’t sure if she’ll rent, sell or move into her new luxury home. “I’ve still got a year left at uni, so I don’t really know what I’ll do,” she said. A regular buyer of Oz Lotto, Powerball and Saturday Lotto, Oz Lotteries member shared that she hasn’t previously bought charity lotteries. But she wanted to support the Surf Living Saving Foundation. She also couldn’t resist entering the draw after seeing photos of the beautiful prize home. The lucky winner is not the first Oz Lotteries customer to win in Surf Life Saving Lotteries – a Sunshine Coast waterfront home valued at $1,003,540 was won by an Oz Lotteries customer in December 2016 as a part of Surf Life Saving Lotteries draw 177. The prize home is located in stunning Sanctuary Cove, opposite the Pines Golf Course and Marina on the Gold Coast. The home features four bedrooms, two-and-a-half bathrooms and a beautiful modern split-level open-plan design. The spacious master suite features a walk-in wardrobe and ensuite. The stunning open-plan kitchen, dining and living area opens onto an alfresco outdoor entertaining area. The stunning Gold Coast home also came with a design and furniture package valued at $142,000. There are amazing extras included in the prize package! There’s an exclusive 4-seater Golf Buggy valued at $13,509, $1,000 Golf World gift voucher and $20,00 in gold bullion! This Surf Life Saving Lotteries draw has now closed. However, you can always enter a charity lottery draw on Oz Lotteries for your chance to win a stunning prize and help support a great cause. Hi Tas, yes any Oz Lotteries customer can play the charity lotteries. Claiming any winnings and prize homes will be done through the actual charity, such as Surf Life Saving Lotteries. You are able to play and win, and can then choose whether you would like to move to your home, rent it or sell it. The choice is yours!